A humble servant, a shining football brain and the tenacity and hunger to chase down every single milestone in football, Ander Herrera personifies the last of a dying breed of footballers. With his tactical acumen, his strength on the ball, his vision and his dedication to the spirit of the game, none would argue he merits his first Spain call-up. Herrera has been in mesmerizing form with his club Manchester United, putting in good shifts both off the bench and from the starting XI. He slots in perfectly at the CDM position, a relatively new role that he has taken up. Jose Mourinho’s tactics see Herrera deployed as the defensive midfielder behind Paul Pogba. The Frenchman pushes forward with every pulsating attack, while the Spaniard sits back on defence duties. After 2 years at Old Trafford, Herrera has finally found a position to stick with, and he is able to flex his arms and show us his true talent. 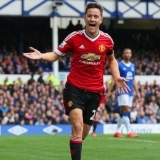 At the age of 27, Herrera received his first call-up to the Spanish National Team on Monday, a side already brimming with world-class midfielders. His form was irrefutably good, and Spain boss Julen Lopetegui had no choice but to summon the midfielder to the ranks of the national team, when Atletico Madrid forward Saul Niguez pulled up with an injury. 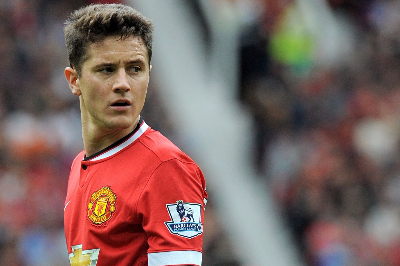 Why has Herrera shone this season? 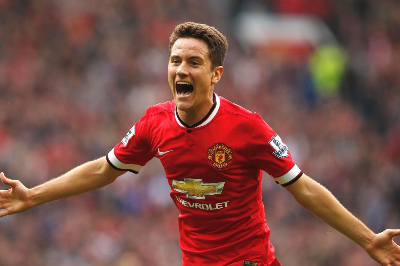 A regular hero at both his previous senior clubs Zaragoza and Bilbao, Herrera arrived as a hot new project excited to work under new boss Louis van Gaal, the latter fresh from his third-place finish at the 2014 World Cup with the Netherlands. 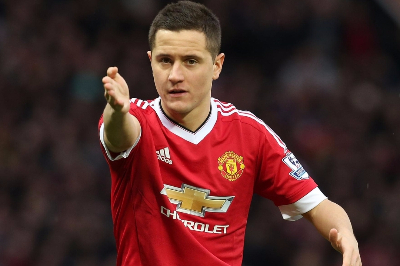 Lack of tactical structure and deployment plans in the van Gaal era saw Herrera played out of position and out of his depth, as the player himself struggled with the new and demanding conditions of the Premier League. 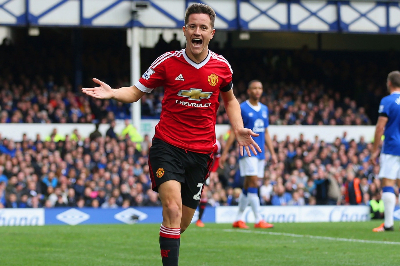 Under the tutelage of Mourinho, however, and after two years of learning and playing with the likes of Michael Carrick, Bastian Schweinsteiger and Juan Mata, Herrera has trained to reach his potential in midfield. The club are now reaping the benefits of having a player of Herrera’s calibre in their squad, with the defensive midfielder putting in remarkable performances as a cover for the back 4. His pairing in midfield with Paul Pogba, Wayne Rooney, Juan Mata, Marouane Fellaini and Morgan Schneiderlin have clicked into place as his duties complement his teammates’ efforts sublimely. He is played as a trampoline of sorts, responsible for winning the ball during the opponents’ counterattack, and to relaunch United’s attacking pursuit. If need be, he makes harsh but sure-fire tackles to bring an opponent down on the run, receiving a card for his efforts, but ‘taking one for the team’. When did his career hit highs? 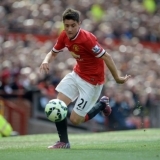 Born in Bilbao, Herrera began both his youth and professional careers with Real Zaragoza, and made his debut in professional football in 2008, in Spain’s Second Division. Zaragoza gained promotion to the First Division, popularly known as La Liga, at the end of Herrera’s very first season with the club, and even managed to retain their top-flight status the next year. After making 92 appearances over 3 seasons with Zaragoza, he moved to his hometown club of Athletic Bilbao in 2011, where he finished the first season playing 54 games in all competitions, taking Athletic to the Copa del Rey (domestic Cup) and Europa League finals in 2011-12. His Athletic side took on Manchester United in the Europa League in 2012, and beat the Devils, catching the attention of scouts in Manchester, who then tried to sign him in 2013, but failed. United made another bid to sign him in the summer of 2014, but were rejected again. This time, however, Herrera himself activated his buy-out clause in view of signing for Man United, and he did so later that very transfer window. He has stayed at United since, and has now received his first senior international call-up, to represent Spain in 2018 World Cup qualifiers against Italy and Albania. He has already represented Spain at the U20s and U21s levels, helping the nation win gold in the 2009 Mediterranean Games in Pescara and win the 2011 U21s UEFA European Championships in Denmark and made it into the team of the tournament. He also scored the first goal in a 2-0 final win. Where on the pitch has his game been outstanding? At Real Zaragoza, Herrera began as an attacking midfielder, usually occupying the role behind the main striker, as a conventional #10. His attacking prowess and vision for incisive through balls saw him dispatch that role with ease, as his managers Jose Aurelio Gay and Javier Aguirre had the legroom in terms of mentality during a game. 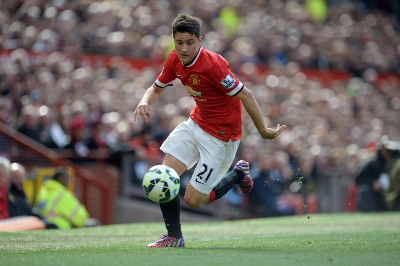 The presence of a player such as Herrera allows a manager to stretch his tactics and try things out, secure in the knowledge that when in possession, his side can always use Herrera as the epicentre of passing and when running back on defence, the first and usually last required tackle would be Herrera’s as well. It was this versatility that attracted Bilbao’s attention. Athletic have a rule of the club that all players must be of Basque origin, and Herrera checked that box, having been born in that very county. His talents and form inspired the Athletic officials to sign him up. This tenacity and determination saw Manchester United pursue the then 25-year old, as he gracefully accepted the opportunity of playing at Old Trafford. After arriving at United, he dabbled around with a few positions, like CAM, RM and CDM before eventually settling into the defensive midfield role. Who are his personal influences? 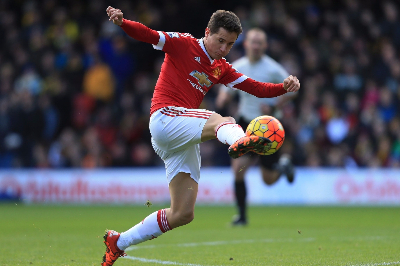 As a young boy growing up in a football-addled nation such as Spain, it was no surprise that Herrera developed idols in the sport. In an interview shortly after joining United, Herrera claimed he looked up to Eric Cantona a lot, due to his personality and skill. The Spaniard has been compared with ex-United midfielder and club legend Paul Scholes, and even received endorsement from the Englishman for his dynamism, being called ‘United’s best signing in recent years’. Herrera’s enthusiasm for football was sown very young, as his father was a professional footballer too, with Zaragoza and Celta de Vigo. He is currently in a relationship with Isabel Collado. On the pitch, some of his closest friends at Manchester United include members of the Spanish contingent, Juan Mata and David de Gea. How did the player and his teammates react to the call-up?